Just when you thought you were getting the hang of crochet, we go into reverse gear. Have you tried the reverse single crochet stitch? It's an ideal edging stitch which gives you an elegant rolled effect and finishes off projects beautifully. 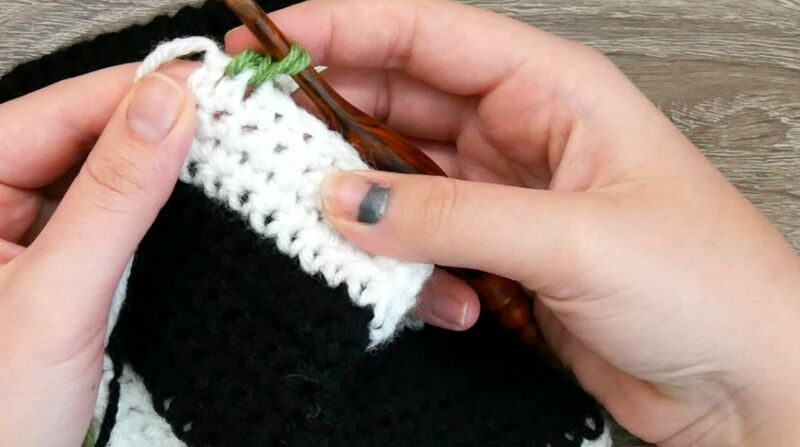 Sometimes known as the crab stitch, reverse single crochet can take a few tries to get the hang of, but you'll soon be using it all the time. Watch the video above to learn to crochet the reverse single crochet crab stitch. The reverse single crochet is a great way to add a simple, clean border to any crochet project. This stitch is perfect for afghans, bags, and pillows. Any weight yarn. I use worsted weight. 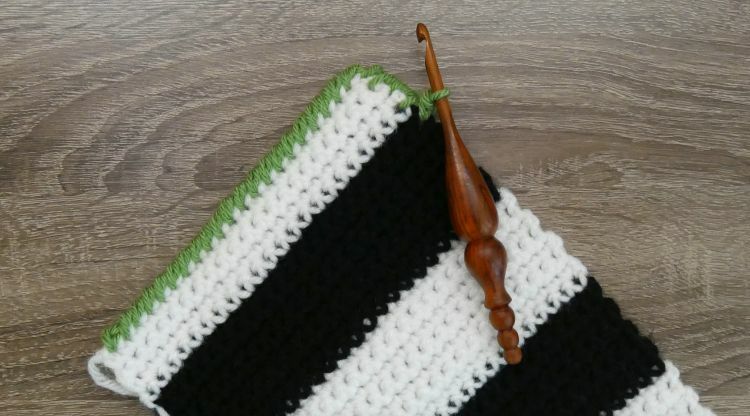 Crochet hook that works with your yarn. I use a 5mm. Pro Tip: Be sure your tension is loose, so that your stitches are easy to work backwards. Start at any point on the border of your crochet work. Join yarn, Ch 1, rev sc [insert hook in st directly to the right, yo, pull up a loop, yo, pull through 2 sts] in each st around. Only work 1 rev sc in corners. Sl st in first st worked to join, finish off, weave ends.